Mansplain: to explain something to a woman in a condescending way that assumes she has no knowledge about the topic. 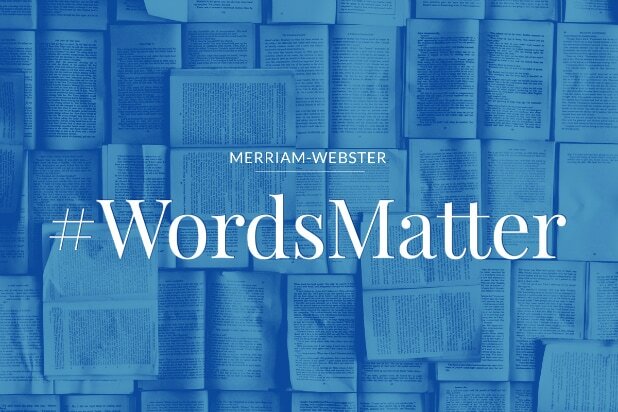 That’s just one of 850 new words and definitions Merriam-Webster has added to its dictionary. Joining it are “dumpster fire,” “cryptocurrency,” “glamping” and “chiweenie,” among many others. See a larger selection of new words and their definitions here. Donald Trump's penchant for Twitter rants, adjusted history and occasionally claiming to coin phrases has kept fact-checkers busy for months. But none are quite so expertly cheeky as those running the Twitter account for the Merriam-Webster Dictionary. Here are 12 instances of pitch-perfect corrections and insights for the Trump administration, straight from the dictionary. 12. A quick reminder on "hombre"
After Trump again dropped the phrase "bad hombres" during a presidential debate, the dictionary helpfully defined it -- just so everyone was clear he was talking about Mexican immigrants, and not something art-related. Not everyone always knows what Trump is talking about. Merriam-Webster occasionally checks in on trending Trumpisms, since he tends to favor phrases that aren't exactly in vogue, and spell them out. In this case, after calling former FBI Director James Comey a "showboat," Merriam-Webster could have followed up with the definition of "ironic." 10. 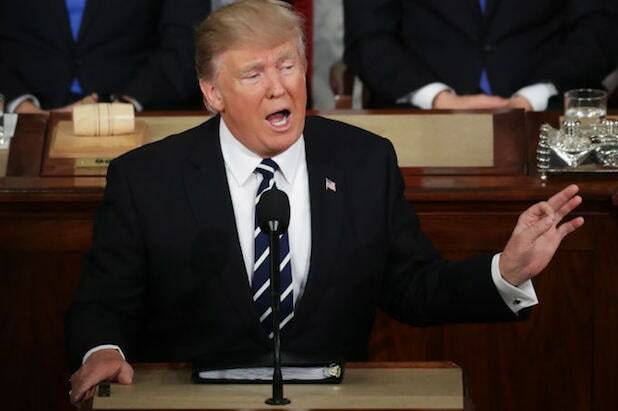 Is he saying "bigly" or "big league?" Merriam-Webster tried to clear up the confusion. He's saying "big league." You're confused because people don't really say that anymore. They did, though, occasionally -- 100 years ago. When Deputy White House Press Secretary Sarah Huckabee Sanders said Comey was guilty of "basic atrocities," Merriam-Webster was there to fill people in on what atrocities meant. It also noted people apparently understood the "basic" part, although how the two words fit together remains unclear even now. As former Attorney General Sally Yates was preparing to testify about former National Security Adviser Mike Flynn's ties to Russia, Trump headed to Twitter. About Yates, he said she should be asked under oath, "if she knows how classified information got into the newspapers soon after she explained it to the W.H. council." The tweet was deleted and then corrected, but not before Merriam-Webster's Twitter had a second to get a little upset with the president about botching his word choice. Merriam-Webster supported the Women's March following Trump's inauguration with a choice word of the day, coupled with a gif of transgender activist Sylvia Rivera. White House adviser and Trump daughter Ivanka said in an interview she didn't know what the word "complicit" meant. "SNL" sure did when it dragged Ivanka for her big talk about women's rights and family protections while her father continues to roll them back. For anybody still confused, there's a dictionary on Twitter. 5. What's the word for when you pay people to clap for you? A Trump visit to the Central Intelligence Agency led to stories the president had cronies at the event to clap for him, while CIA agents remained silent. Did you know there's a word for those clappers? Merriam-Webster did. 4. Trump did not invent "prime the pump"
Trump used the phrase "prime the pump" as a metaphor for tax policy in an interview, and then said he thought he'd invented the phrase. Merriam-Webster narrator voice: He hadn't. Merriam-Webster has dug up some obscure Trumpisms and verified them for the world. But those words can't be made up. Turns out, Trump's use of "unpresidented" on Twitter was, in fact, unprecedented. 2. On varieties of "facts"
Merriam-Webster Twitter wasn't thrilled with Kellyanne Conway's assertion that things that are false might be considered "alternative facts." The perfect English language troll of a president who specifically admitted to sexually assaulting women, on tape, because he was a star and no one stopped him. Still going off about the investigation into his campaign and potential collusion with Russia, Trump tweeted the Russians were "laughing up their sleeves" about the situation. Lots of people had no idea what that meant and figured he'd invented it. Not so, Merriam-Webster confirmed. The dictionary might stick it to Trump when he uses English in awkward ways, but it's also fair to him on those occasions he doesn't.